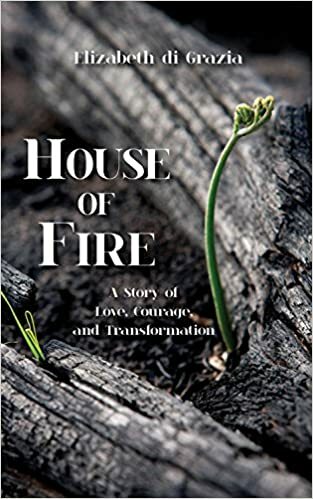 When I was a girl, Thanksgiving dinner might occur on Thanksgiving itself or the day after—whichever day my father had off from the fire department. 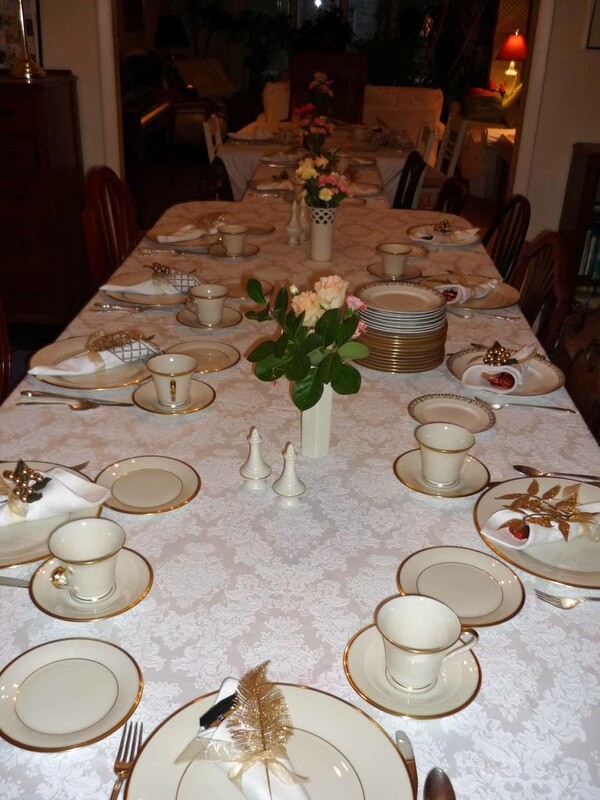 The table was set for eight with an ironed tablecloth, Mom’s sterling silverware, and her good ivory china bordered with a band of light blue and a thinner band of gold. My father presided at one end of the table and my mother faced him at the opposite end in the chair closest to the kitchen—in case she needed to hop up to get something. My two grandmothers, my two older brothers, my younger sister, and I filled out the sides. Mom masterminded the meal—getting up early to put the turkey in the oven, making the stuffing, the green bean casserole, mashed potatoes, gravy, and pie. One of my grandmas brought cranberries and the other brought rolls. My sister and I chopped onions and celery for the stuffing, stirred gravy, and set the table. We also helped clean up. But Mom bore the weight of making this holiday a success. Now that I’ve helped prepare many family holiday meals, I understand and appreciate how much work and pressure this labor of love can be. That we shifted days barely registered with me then. What I recall were the smiling faces and good food. As is the way of things, our family grew and we expanded the Thanksgiving table.First came my brother’s wife and their kids. Later, my great aunt and my mother’s sister, both widowed and childless, joined us. When my sister and I married and had kids, we enlarged the table again. At that point, there were too many of us for my parent’s small dining room. A dinner for 20-22 was getting to be too much for Mom, who was now in her mid-70’s. Thanksgiving dinner moved to my sister’s bigger house. My parents contributed pre-roasted turkeys from the deli, and Mom brought several pies. My siblings and I prepared the rest of the food. My sister set two adjoining tables with her sterling silverware, ivory china rimmed in gold, crystal goblets, and a flowery centerpiece. Wine flowed freely and we were a festive and rowdy bunch. 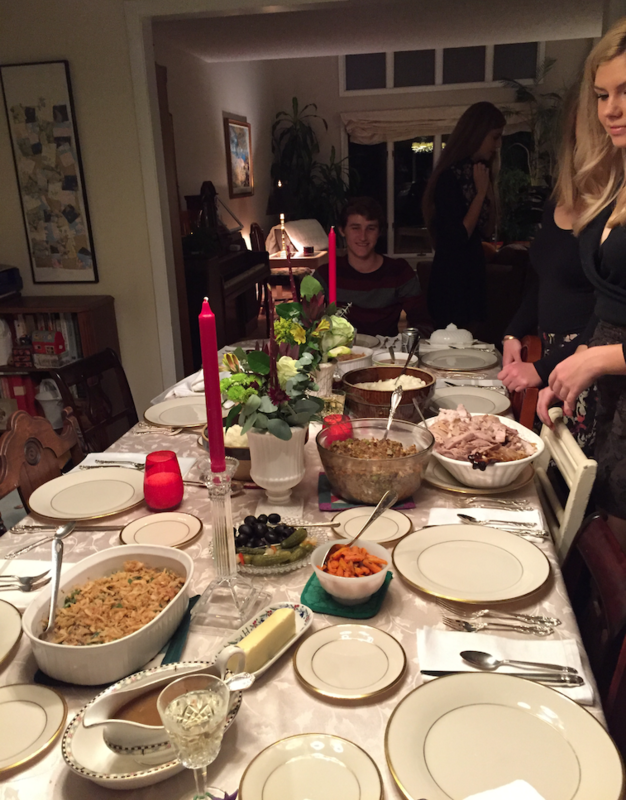 In the last several years, the family circled around the Thanksgiving table has grown smaller. My parents and two aunts are gone now. Our small family of four doesn’t always travel to Ohio for the holiday. Sometimes my sons’ girlfriends join us at our smaller table, but now my sons each need to be a part of their girlfriend’s family gatherings, too. That’s as it should be. Holiday traditions are supposed to flex with a family’s changing circumstances. This year, the day of our Thanksgiving celebration shifted once again, because that’s what works best for our sons. Several days ago, I set out my good white china and sterling silverware, arranged flowers, cooked and baked, and gave thanks for the smiling faces at my table. 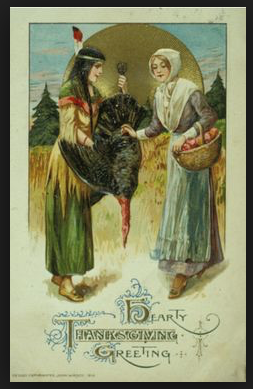 We at the WordSisters wish you a Happy Thanksgiving and hope there are plenty of smiling faces at your table. As writers, sometimes our own light flickers, but it can be rekindled by a spark from another person. The WordSisters are grateful to you, our readers, for inspiring us and sharing your thoughts with us since 2012. We wish you a full helping of love, laughter, and good food this Thanksgiving. Family will fill the dining room Wednesday evening for Thanksgiving Dinner 2017. We’ve divvied up side dishes so everyone will be carrying something to the feast. It will be a grand gathering. 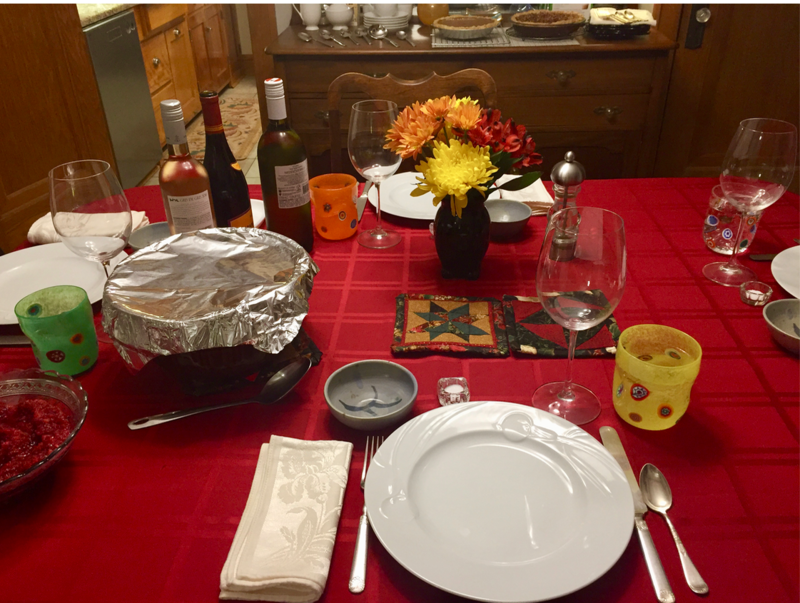 No holiday has morphed as often in our home as Thanksgiving dinner. Loved ones who shared the day have passed. Friends who joined us at various times left stories we share. Korean students we hosted carry memories of our pecan pie. Babies grew up. Family dogs endured ribbons or costumes with rewards of bits of our meal. Turkey always appears but side dishes reflect the times. My father’s sausage dressing gave way for my mother-in-law’s oyster stuffing. A former son-in-law only liked a five-minute version made out of a box. For years I rehydrated and doctored up packaged stuffing mixes. Now it is made from scratch. Green bean casserole has given way to Brussels sprouts. Homemade applesauce and cranberry relish still claim menu priority. Tears accompanied some transition years. Significant tears cried about an empty chair. Exhausted red eyes when traditions overwhelmed my ability to deliver. A parent’s sadness as children are absent a first time. Happy wet eyes when the stories begin flowing among those who are present and it is no longer important that we are gathering on Wednesday night for the whole deal or on Friday for turkey tetrazzini and leftovers. Wishing all of you a moment of comfort however you spend the coming holiday. In the class where I assist, explaining the customs surrounding Halloween and Thanksgiving to adult immigrants who are learning English is challenging. Understanding American customs helps immigrants fit in, even if they aren’t likely to celebrate the holidays the exact same way long-time Americans do. However, Halloween and Thanksgiving have evolved so much from their original meanings that often it’s hard to make sense of our current practices. When I try to explain Halloween, it sounds absurd. I write the words on the board and think, How can I possibly explain the history? I try this, “Hundreds of years ago the Celts—people who lived in Great Britain and northern Europe—believed that October 31st was the end of one year and November 1st was the start of a new year. At that time of year, dead souls could visit earth. 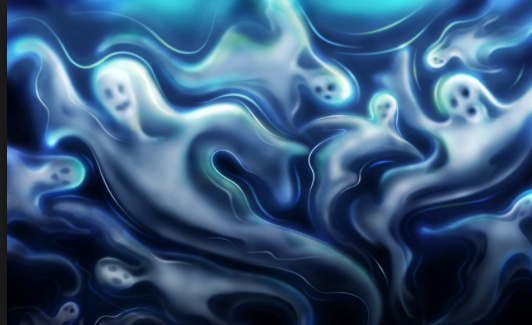 People dressed in costumes to trick the returning spirits, so the spirits or ghosts couldn’t harm them.” Wow. That sounds completely bizarre. Why is this still a holiday? I say, “Most people don’t really worry about ghosts, but people still enjoy dressing in costumes.” I pause after that semi-lame comment. Moving along, I start to describe how trick or treating works, but falter when explaining the reasons why that custom is acceptable. Give me a treat or else I’ll play a trick on you? On the face of it, that custom sounds like blackmail. Umm, in America, that how we do things?? Given the language barrier, I’m not sure how much the students understand. 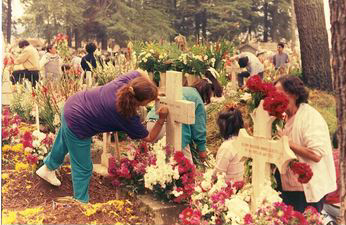 The students from Mexico and Central America see the connection between American Halloween and Dia de Muertos (Day of the Dead) in which families visit cemeteries with food and mementoes, and they picnic at the gravesites. At best, the students from Africa and Asia look baffled by Halloween and Dia de Muertos, and at worst, they look repelled. I extend our discussion to describe Diwali (also called Deepavali). It’s a Hindu festival of lights that’s celebrated in late autumn in parts of India, Sri Lanka, Nepal, Malaysia, and other countries in the region. 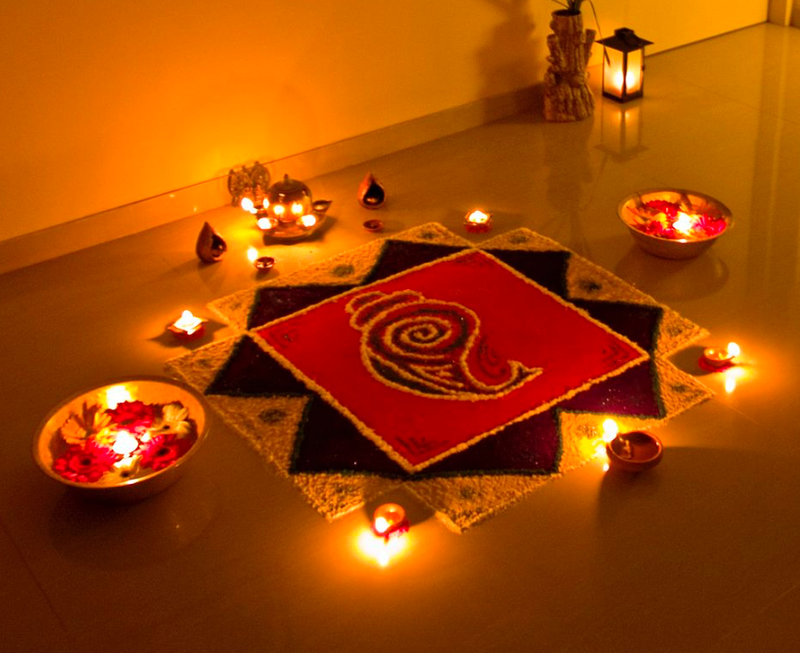 People light candles and lamps, create intricate decorations called “rangoli” using colored powder, and families exchange small gifts to celebrate the triumph of light over darkness and knowledge over ignorance. The Muslim Africans and Buddhists from Asia and begin to nod. They see that in countries across the world, celebrations take place in late autumn when the days grow shorter and darker. They understand that people need light, to gather together, and to celebrate with special food. When we discuss Thanksgiving, I feel a different sort of disconnect. The official story of Thanksgiving is that Native Americans selflessly rescued starving Pilgrims by teaching them about North American foods—how to grow corn and squash and how to hunt local game and fish. To show gratitude after the first harvest, the Pilgrims prepared a feast and shared it with the local tribe. That’s the version I learned years ago in school, and it’s still favored today in many public schools. But, I think, it’s only half of the story. European settlers also introduced smallpox and other diseases to Native Americans, who had no resistance to them. Thousands died. Often the Pilgrims’ interactions with local Indian tribes were disrespectful. Native Americans were seen as “savages” who had no religion of their own. For a long while after the Pilgrims claimed New England for their own, the invading European settlers and Native Americans engaged in raids and massacres. Millions were killed. How far do I delve into the historical details? After the trouble explaining Halloween customs, I decide to mention, but only summarize, the difficulties between the Native Americans and the Pilgrims. Perhaps it’s wrong to round off history’s sharp edges, but I decide to focus on what connects people of different cultures. I describe the current meaning of Thanksgiving—to be grateful for what you have and to share a good meal (of whatever cuisine) with family and friends. When put in the simplest terms, the students understand the point of Thanksgiving. By focusing on the essence of these customs—remembering the dead, pushing back darkness, being grateful for a plentiful harvest, and sharing a good meal with family and friends—students who come from Mexico, Venezuela, Colombia, Cambodia, Sri Lanka, Russia, Somalia, Ethiopia, Eritrea, and Vietnam find common ground with each other and with Americans.